Your weakened nails can become too soft, breakable, duplicated or ridged. To protect your little nails from aggressions and to help your manicure last longer, it is recommended to use a base coat. The Silicon Base Coat helps to protect and strengthen your nails, while respecting them as they deserve it! 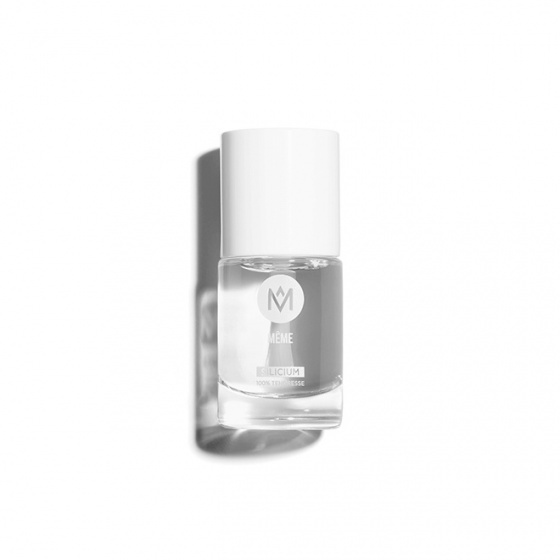 Its actives, full of vitamins, help regenerate your nails. 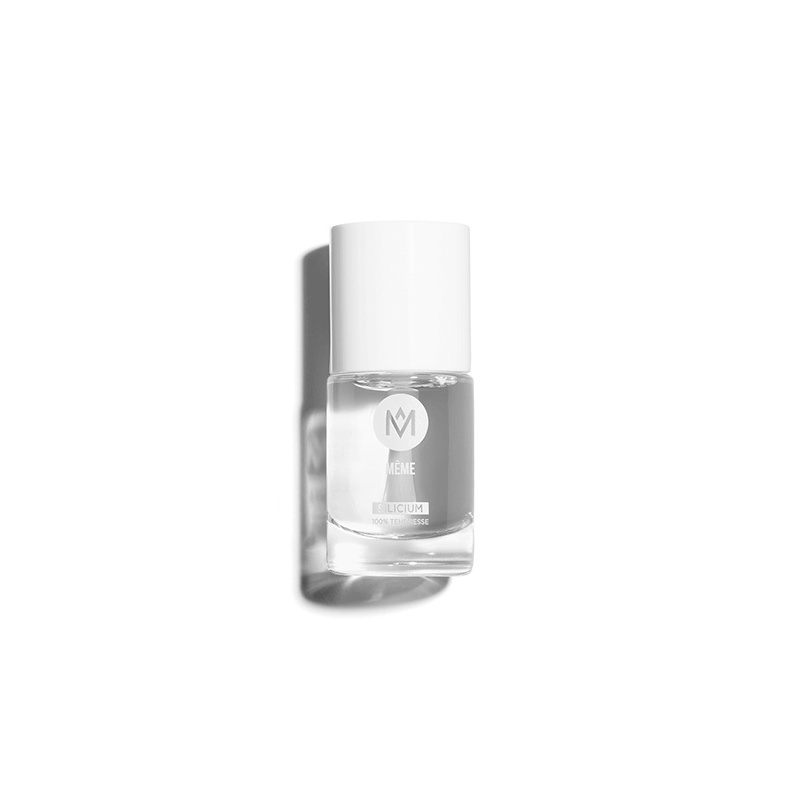 The base coat is to be applied as undercoat under your nail polish, or even alone for a natural and slightly shiny effect on your nails. MÊME innovates with a “10 free” formula: without Benzophenone, Toluene, Formaldehyde (or its resins), Phtalates, synthetic camphor, Paraben, Rosin, Xylene, Styrene, heavy metals. Our Base Coat is composed of 81% natural ingredients and organic sourced natural solvents, without solvents from petro chemistry. 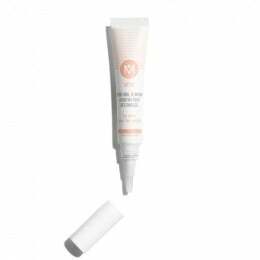 The Silicon: organic glue, it strengthens and hardens soft or weakened nails. The Spinach / Green tea / avocado cocktail: vitamins, nutriments and antioxidant concentrate to regenerate weakened nails. Apply one coat of Base, then two coats of Nail Polish, and finally one coat of Top. Complete your routine with the Nail Care Pen ! You can also apply it on your coloured nails. (It won't damage your manicure). Please, consult your doctor, il your nails are too much damaged or painful.